Facilitated procedure for getting visa and residence permit. The overall number of banks and financial institutions in Hungary is more than 70 and one third of them are foreign. Limited liability company KFT (KorlátoltFelelősségűTársaság). Copies in English can be submitted and ordered for extra charge. Keeping records is obligatory. Annual financial statements are to be filed online. Annual tax returns on income and municipal tax are to be filed annually. VAT returns must be submitted monthly. Audit report is required in case the annual turnover exceeds 300 million HUF (about €.970,000) and/or the number of employees exceeds fifty. Hungary is Central European country. The government system is a unitary parliamentary republic. The capital and the largest city is Budapest. 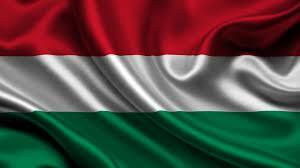 The official and spoken language is Hungarian. The country’s population is 9,860,485 (2016 estimate). Hungarian Forint (HUF) is the local currency.